We have had such a great weekend. After working all last weekend, I was ready for a weekend at home with my family and our friends. I hurt my back at work and went to the doctor Friday, he said no running for 3 weeks and I have to go to physical therapy, but should be good as new soon! I was sad I didn't get to run the 5k yesterday but I know there will be many more 5ks to come. I would be lying if I said I had done anything constructive this weekend, because so far I haven't. We had all of our friends over last night to grill out (BYO-meat) and hang out. We ended up playing Catan in teams because there were 9 of us and only 4 can play. It was was fun and one game lasted 2 hours. 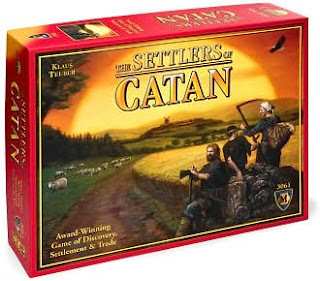 My sweet SIL introduced us to The Settlers of Catan a few weeks ago, and now we are addicted and want to play all the time, although I am not sure that is a great idea since it brings out the mean side in some of us. I have a lot to keep me busy this week with the SITS challenge and I also have several burp cloth orders to get together, but I am looking forward to it! I also wanted to add that my friend Jessie, from Ethnic Brilliance has hooked my readers up with a special discount code! 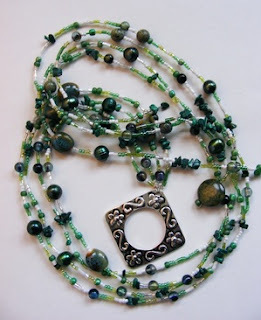 She makes the most amazing jewelry, it would be perfect for yourself, a Mother's day gift or a birthday gift for a friend. I personally love the Explore and Solace (shown below)! So cute and they can really dress up any outfit. So go and check out Ethnic Brilliance and use the coupon code JKB411 for a 10% discount!